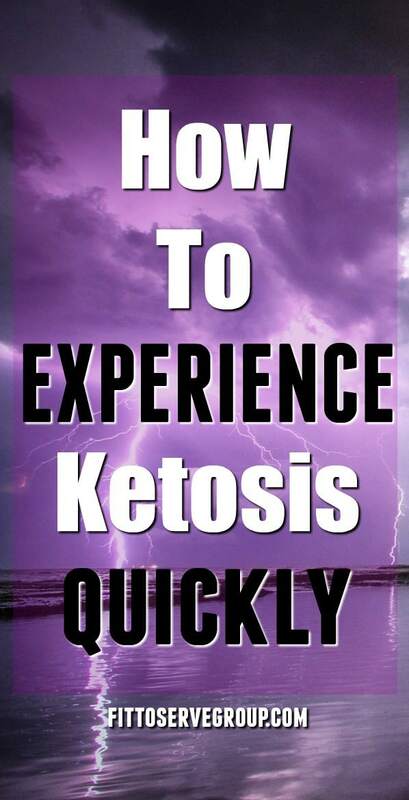 Wondering how to experience ketosis quickly? If you are doing a ketogenic diet then being in ketosis is the goal. After all, no one wants to wait weeks for your ketone levels to rise to therapeutic levels. Have you noticed how more and more people are inquiring about the keto diet? There is a lot a buzz about being in ketosis. Seems like everywhere you turn someone is talking about keto, ketones or ketosis recipes. The keto diet has risen in popularity primarily because of its ability to shed fat quickly. Once you enter into ketosis your body begins to burn fat and weight loss becomes easier. But many people are discovering that being in a state of ketosis has many other far-reaching benefits. In fact, therapeutic ketosis has the potential to improve your overall health. The keto diet has proven to be an effective way not only to lose weight but to improve cognition, help balance hormones and has even been used to treat diseases such as diabetes and epilepsy. Knowing the potential that being in ketosis offers, it only makes sense to find ways to get into ketosis quicker. To better understand ketosis and the benefits it offers we need to start by explaining what a true ketogenic diet looks like. Traditionally a ketogenic diet is thought to contain less than 50 grams of carbohydrates per day or that only 5 to 10 percent of total daily calories come from carbs. Keto diets can have an intake of dietary fats anywhere from 70-85%. Another way of saying it is, that it’s a diet that has four times more fat than carbs, with protein levels managed so that 90 percent of calories are coming from fat. A ketogenic diet aims to lower carbohydrates intake while simultaneously consuming more healthy fats with the goal of producing ketones. Once your body enters ketosis it switches from burning glucose (sugar) as the primary fuel and begins to use ketones (fat) for fuel instead. Using fat for fuel is great because it gives you more sustainable energy. Rather than your energy constantly dipping, you have access to long-lasting energy. Although it is tempting to say that a ketogenic diet is just a diet that is 80 percent fat, 15 percent protein, and 5 percent carbohydrate, this is an oversimplification. Why? Because counting macros alone does not take into account individual differences like physical activity, overall health, and calorie intake. After all, you can’t compare a bodybuilder doing a ketogenic diet to the average person who just wants to lose 20 pounds. There is a difference in doing a keto diet for weight loss reasons versus for athletic performance. If you want to learn how to experience ketosis you will have to take into account your own set of circumstances. A key to understanding how to experience ketosis, is learning the fundamental difference between a low carb diet and ketogenic diet? A ketogenic diet is related to a low carb diet, the same way second or third cousins are. Although there are similarities, a keto diet has a higher level of healthy fats. Why choose a diet higher in fat? Because a diet that is both low in carbs and higher in fat will produce more ketones. I guess right about now you may be wondering what ketosis actually is and if it’s even good to be in a state of ketosis? Why is ketosis desirable anyway? 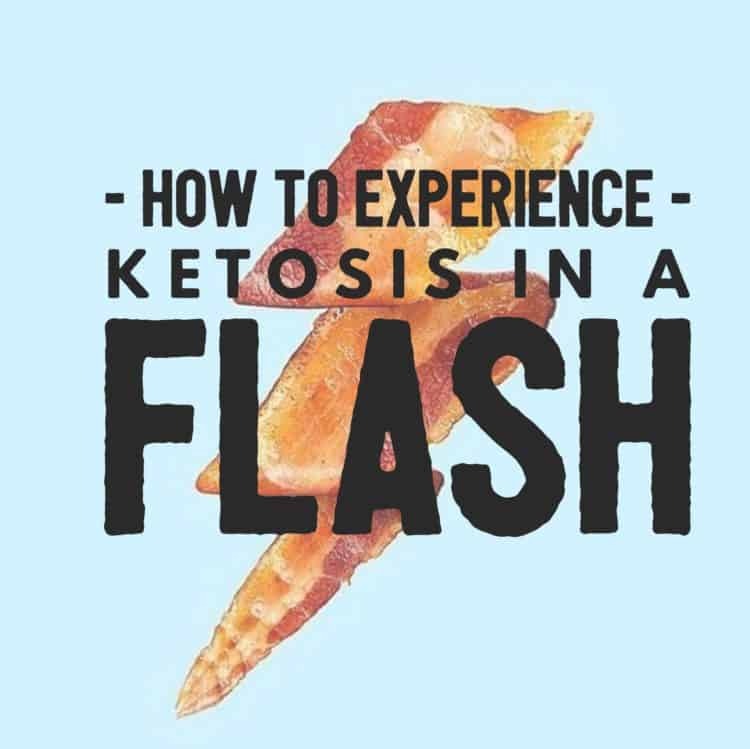 In order to learn how to experience ketosis, you need to first understand a little about the science behind it. Ketosis is, basically, the state of having elevated ketone levels, typically above 0.5 millimole per liter, or mmol/L. How a person achieves ketosis and how high their ketone readings are will vary from individual to individual. On a keto diet, the body looks for alternative fuel in the absence of glucose. It turns to fatty acids and fat stores to provide the energy it needs. The liver then breaks down the fat and releases ketones into the blood to be used by the brain and other organs to produce the energy. On a keto diet, you burn fat more effectively. This is the reason so many people turn to a low carb keto diet for fat loss. However, the benefits of ketosis don’t end with the fat loss. In fact, using ketones is a far superior fuel for our brains than glucose. If you have ever participated in a fast, you will recall that after a period of food deprivation you suddenly gained a spike in energy and found that you were in a hyper state of focus. This was simply your body creating ketones and your brain thriving on it for fuel. It was a protective measure to make sure your brain was still getting enough energy. While doing a keto diet you are basically hacking your body to create ketones by lowering your carb intake. You get into ketosis without the need to deprive your body of food. What’s more, we have the added assurance that because ketones are water-soluble, whatever excess amounts of ketones may be in our system it’s simply eliminated through the urine naturally. When in therapeutic ketosis we are using this optimal fuel, which translates into better energy, better sugar levels, better sleep, the list goes on. Both a keto and low carb diet can be beneficial but choosing which one is best for you should be based on your goals. When Randy and I first embarked on this lifestyle we thought it would be a good way for him to lose weight and a more natural way for me to deal with my fibromyalgia symptoms. At the time we had no idea all the benefits being in ketosis would provide us with. 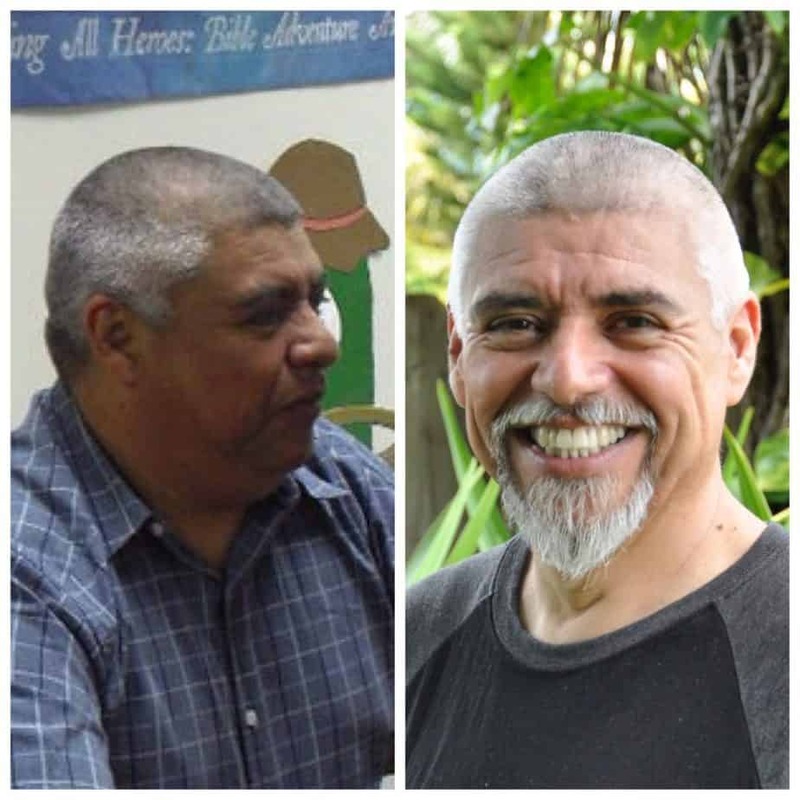 Not only did Randy lose over 80 pounds but he reversed his diabetes 2, normalized his blood pressure and his doctor eventually took him off all his meds. I too saw great benefits. My fibromyalgia symptoms were dramatically reduced and chronic fatigue no longer plagued me. I invite you to read more about our keto transformation. You should know that we worked closely with our physician and we encourage you to do the same. This is especially important if you are a diabetic since reducing your carbs drastically will reduce your insulin levels. You don’t want to risk being overly medicated. Can Vegetarians Do Keto Too? With the rise of the keto diet and a better understanding of ketosis, vegetarians are also wanting to do a ketogenic diet. At first glance, it would appear that it would be impossible for vegetarians or vegans to participate in the keto lifestyle. However, it can be done if you have a good vegetarian keto diet plan. One of the more challenging aspects of doing keto as a vegetarian is making sure you are getting enough protein while still staying within your keto macros. These 7 keto vegetarian protein sources can help you choose the best protein options that will not kick you out of ketosis. Let me dispel a myth right here because many people confuse ketosis with ketoacidosis. However, ketoacidosis only occurs when the body is not responding to insulin at all, as in a type I diabetic whose sugar-level is out of control. In this state you see ketone levels of 20.0-30.0, this, of course, is dangerous and nothing like therapeutic ketosis. Understanding how to experience ketosis also requires knowing what can kick you out of this state. Where the challenge lies is not only getting into ketosis but staying in that ideal 0.5-3.0 ketone level range. Frankly, it can be frustrating at times because we can get kicked out of ketosis rather quickly with even a small slip up. When we get kicked out of ketosis it can then take days, or sometimes weeks to get back into this ideal state. 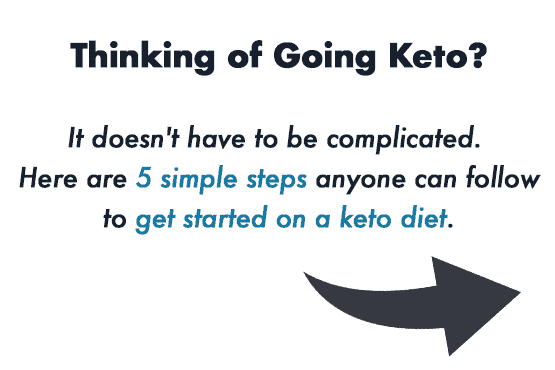 Learning how to get back into ketosis after your ketone level drops makes sense if your goal is to see lasting results. Like any diet you embark on you should first consult with your physician. Working closely with your personal doctor can ensure that the keto diet is right for you. Although a ketogenic diet can prove to be beneficial it does, however, there are some possible downsides you need to be aware of. Dehydration can be a problem when transitioning into ketosis. This is because being in ketosis has a diuretic effect. Glycogen and carbohydrates are stored in the body with water. When you enter ketosis you deplete your glycogen stores and therefore also lose water. A typical high carb diet causes insulin levels to rise. When insulin is elevated it causes water retention. But since a keto diet lowers your insulin levels, it allows for excess fluid to be released. It’s why being properly hydrated while doing a keto diet is very important. Because a low carb diet has a diuretic effect it can cause electrolytes imbalances. The flush of excess fluid means that vital minerals are also lost. Supplementing with electrolytes is an easy way to make sure your body doesn’t experience the symptoms of electrolyte imbalance. Being in ketosis has many benefits. However, when the body moves from using energy from carbs to ketones, it can bring a few unpleasant side effects. This is the uncomfortable gap between having been a glucose burner most of your life and moving into burning ketones for fuel. It’s a period that can last anywhere from a few hours to several weeks. The reason it’s called keto flu is that it feels as if you have come down with the flu. You’ll feel achy, experience body chills and even a bit feverish. Of course, not everyone feels the keto flu the same. In some, the symptoms are very mild, while in others it’s more pronounced. The great news is that you can use exogenous ketones to help bridge that gap. While your body is getting accustomed to using ketones as fuel, you can give it ketones in a form of a supplement. By supplementing you can shorten or avoid entirely the dreaded keto-flu. Ketone esters is another form of exogenous ketones that can stave off the keto-flu and make the keto lifestyle easier. 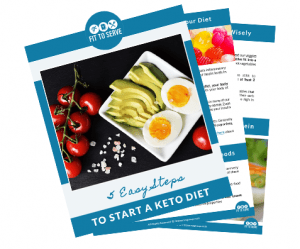 Because getting into ketosis and staying in optimal levels can prove to be challenging, supplementing with exogenous ketones can serve as an effective tool for the keto dieter. Using exogenous ketones does not give you a license to cheat. You can’t expect to get the full benefits of being in ketosis if you don’t aim to make it a lifestyle. 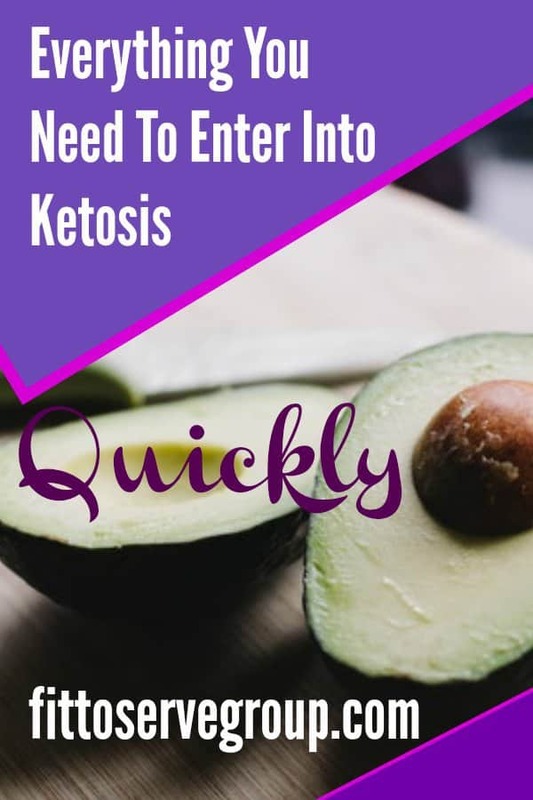 However, the use of exogenous ketones can act as a powerful aid in both maintaining a state of ketosis and in the event that you consume too many carbs and need to get back into ketosis. Normally, when a person doing a keto diet slips up by having a meal that is too high in carbs it can cause a downward spiral effect. By having access to a tool that can get you back into ketosis quickly, you can avoid those symptoms and get back on track faster. Being in a state of ketosis basically mimics fasting. In a period of fasting your body is using its fat stores for energy. By tapping into those stored fat stores your body naturally begins to lose weight. This is why people who are having trouble losing weight or have hit a plateau that doesn’t seem to budge, find results when they enter into a higher state of ketosis. The use of exogenous ketones can help accelerate the process of getting into ketosis and raise ketone levels for better results. One of the benefits of being in ketosis is its role in hormone regulation. There are studies that point to how regulating the CCK hormone, which is responsible for stimulating fat and protein digestion inhibits the stomach from emptying, this, in turn, reduces appetite. The CCK hormone is a great regulator of food intake. When our CCK hormones are elevated we naturally stop eating sooner and therefore lose weight. Unfortunately, when a person has been dieting for a period of time and is losing weight, this hormone is reduced and the benefit of satiety is lost. This study showed how being in a state of ketosis in just one week caused an increase in CCK hormone. This is great news and points to why people experience consistent weight loss while on a ketogenic diet and points to how supplementing can prove beneficial. The study presents how using a ketogenic diet to induce ketosis can alter the hormone and nutrients that are responsible for hunger. Being in a state of ketosis can help with food cravings making it easier to eat less and choose healthier options. The appetite suppression that occurs when supplementing with exogenous ketones is what compels people to use them. For the first time people who tried to diet find that they can do so easily because their appetites are not out of control. The satiety effect that ketosis provides is quite powerful and the reason why you see dramatic fat loss on a keto diet. The ketogenic diet reduces traditional high carbohydrate foods and refined sugars. These are the primary foods that raise blood sugar levels and increase hunger. It’s been well documented that when our insulin levels rise it triggers our hunger hormones to also spike. In contrast, a ketogenic diet is rich in non-starchy vegetables, protein, and healthy fats. All of which can help stabilize blood sugar levels. Ketosis can help in the weight loss process by regulating hormones more effectively. This is why my husband Randy, was able to reverse diabetes 2, something he struggled with for over 15 years. As discussed, the ketogenic diet is one that aims to bring the body into a state of ketosis. I’ve explained how ketosis is a metabolic process in which the body burns fat for energy versus carbohydrates. I showed you how in order to be in ketosis you would need to drastically lower your carbohydrates. It’s not until there are not enough carbs in your diet for energy, that the body switches into a state of ketosis. Once in ketosis, your body uses its own body’s fatty acids to create ketone and uses them for energy. So if a keto diet is so great why aren’t more people doing it? Because it’s quite hard to adhere consistently to the diet in the beginning and because some people find it too restrictive. It’s a shame that many have quit the keto diet not realizing the vast array of keto recipes available to make the lifestyle sustainable. The other issue is that people attempt the keto diet but since it traditionally takes days even weeks to enter into ketosis they give up too soon. Remember that during the adaptation stage it’s when people experience the keto-flu, it’s the side effect of depleting the glucose stores. This is why having a tool that allows you to enter ketosis quickly can prove to be very effective in staying the course. Using exogenous ketones is simply a way to accelerate the ketosis process. It’s also not something you need to take every day in order to get its benefits. It’s also a good way to teach your body to recognize ketones as fuel, while your body simultaneously is producing its own ketones. To ensure that you are entering into ketosis consistently, you will need to carefully plan your keto meals, as well as track your macros. Using a keto calculator can help you create a personalized ketosis-inducing diet. It will make it possible to hit your goals and achieve ketosis. In addition, you want to make sure you have plenty of low carb keto food options so that temptation is not an issue. With the introduction of exogenous ketones to the market, you can consume a lower carbohydrate diet, not necessarily a strict ketogenic diet, and benefit from being in ketosis. This makes it now possible to experience being in therapeutic ketosis with a little more flexibility. If weight loss is the goal, combining the use of exogenous ketones with a diet that is low in carbohydrates will garner the best results. Who Can Benefit From Exogenous Ketones? Exogenous Ketones is for anyone who wants to improve their health, body, and performance. Whether you are looking to lose excess fat, need a concrete way to reduce inflammation or just want the benefits of mental clarity. It’s for individuals just beginning a low carb keto diet because supplementing will help you become fat-adapted sooner. When you become fat-adapted your body will prefer to use fat, ketones instead of glucose for fuel. 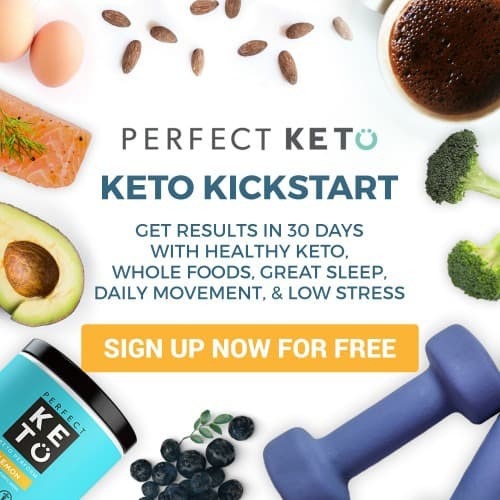 It is also a tool for people who want to follow a Keto lifestyle while avoiding the symptoms of the Keto flu and accelerating the use of ketones as energy, thus assisting you to become keto-adapted more efficiently. The use of exogenous ketones has been found to improve insulin sensitivity, lower and normalize blood sugar levels, contribute to an increased state of satiety and decrease food cravings. Individuals with high levels of ketones have been able to intermittent fast easily because of the reduction of appetite that being in ketosis provides. The improvement in blood sugar levels may also explain why ketones have been shown to benefit type II diabetics and women suffering from polycystic ovarian syndrome. DISCLAIMER: The information provided here is for discussion purposes only. In no way should it be considered as offering medical advice. Fittoservegroup assumes no responsibility for how this material is used. Please check with a physician prior to starting any diet. It’s no wonder that when Randy and I traded our high carb diet for a low carb one, our bodies began to see the healing properties of being in ketosis. We may not have always been in a state of ketosis, but we certainly experienced it enough to recognize its benefits. For the first time, we were able to practice intermittent fasting without having any dips in energy. To be in a true state of ketosis our blood ketone level should be between 1.0 and 3.0. Any level lower than 1.0 and we just don’t get to experience all the benefits. Being in ketosis may help with mood stabilization for those who deal with bipolar in conjunction with their treatments. Still Wondering If Ketosis Is Even Safe? Perhaps you still have some unanswered questions and you may be even wondering if ketosis is safe and if it’s something you want to achieve. My post, Is Ketosis Even Safe? Why It’s Important To Know, may help clarify things even further for you. 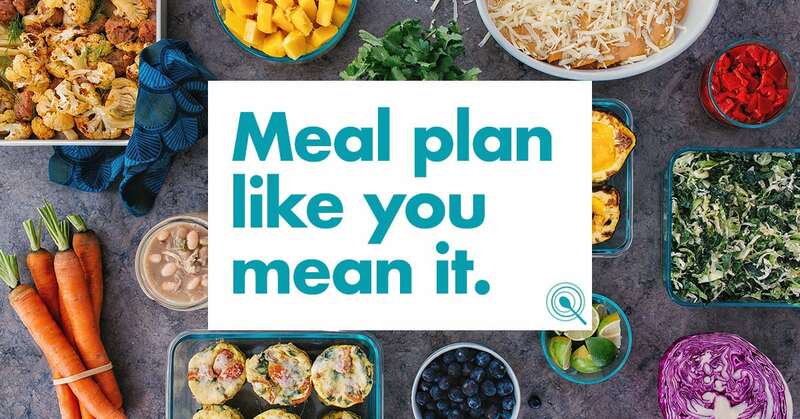 Part of embracing the keto diet is aiming to make it a lifestyle. For this reason, one of the first things I made a priority when we went low carb keto, was to learn how to cook foods that kept us in ketosis. I started out by searching for recipes and then quickly began to create my own. In the process, I transformed family favorites into keto compliant options, that today many in the keto community are enjoying. A few recipes that have been favored in the keto community include our Keto Cream Cheese Pound Cake, our Keto Cookies, and our Keto “Cornbread” recipe. I encourage you to give some a try so that you can see how delicious this lifestyle can really be. Additionally, I invite you to learn how we choose to combine our Christian faith with the keto diet for optimal transformation and how we were able to say no to sugar once and for all. Truly, we can’t say enough about the low carb keto lifestyle and how grateful we are to have found it. Personally, I started the keto diet with hopes that it would help me with the vast symptoms I was experiencing because of fibromyalgia. Am I completely free of fibromyalgia symptoms? No, not yet anyway. There are still some days that I experience flare-ups. However, the combination of the keto diet and exogenous ketones has me feeling better than I have in a long time. It’s a journey of learning for me as I continue to trust God for my complete and total healing. Hi, I know that it takes some time to break old mindsets. But honestly, changing our ways literally saved our lives. 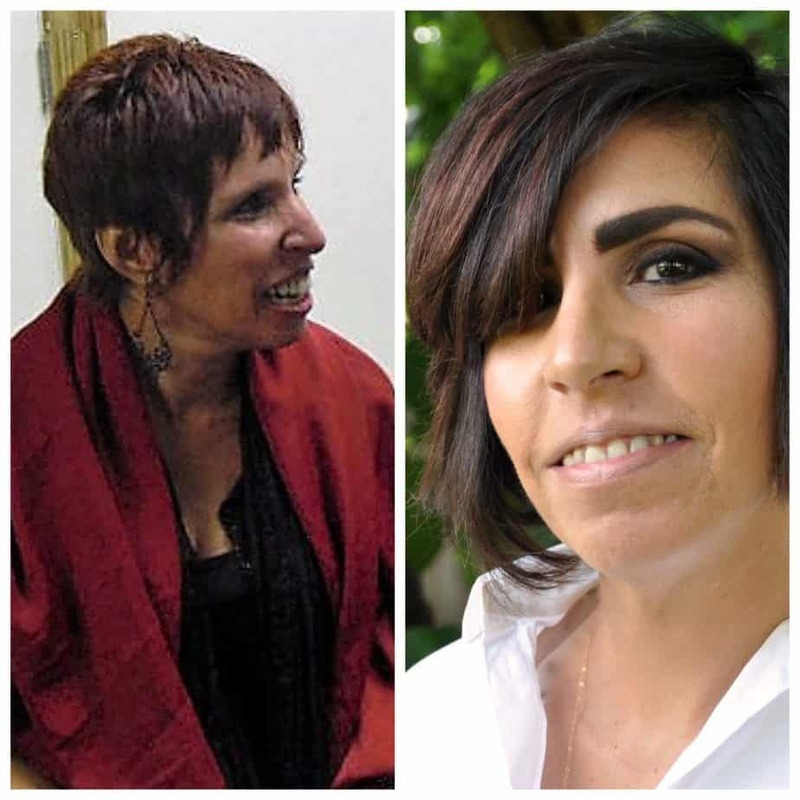 Go to our about page to see our before and after pictures. Be well my new friend. Here to assist you in any way. Thanks so much, I'm very blessed to have found this blog!